mark stagi - that first shot is awesome, amazing! Kayleen T. - Hi Alice! Thanks for your comment! These pictures are beautiful! Erik Maziarz - gorgeous session. incredible light! Emily Beaty - These are beautiful!! I love the light – gorgeous! Meredith Perdue - Hi Alice! I found your site through the beautiful photos that Justin & Mary took of you. I have to tell you that after seeing those photos of you, I decided that J&M must take my next head shots- yours were awesome! Also, I love your use of the sun in the first few photos of this couple- beautiful! gina - love the sun in all of these shots! perfection! Brianna Phelan - The lighting = amazing. The sunset light coming through the trees is insanely beautiful. Perfectly done! Miguel Serrano - Outstanding work! The B&G should be very happy with these… what a way to capture the moment! JO ANN HANSON - CONGRATS ALICE. YOU WERE ABLE TO CATCH THE MOMENT PERFECTLY!! Ryan+Beth Photographers - Wow. The two shots of the couple with the light coming through the trees are incredible! Great work Alice. laure - Just love these. You really capture the mood and moment. I so want to go back there! Julio Bekhor - I love your work!!! It’s really impressive the way you capture the best of each moment and the way that you use the daylight. alice - Thank you Jill! Jill (Fridlund) Alessandra - lovely, dreamy, sensitive, intimate, true. Mark Brooke - Sick ring shot!!! alice - I love how determined she looks with that camera! Noelle - The junior photographer set her mouth very determinedly with that point and shoot. What a shot! 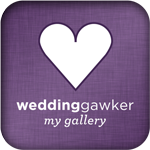 An admirer - What a lovely wedding – especially like the “crowd shots” – - you get the whole experience…. lauren youngs - I love everything about this photo too – truly beautiful. laure - Love this photograph! Would love to get together sometime. I’m from the Bay Area and went to UCSB, so it was so exciting to see this!!! Sara - If you can just hold still we’ll have PIZZA for DINNER!! Jan Harrison Riedl - The pictures are wonderful. My cousin Beth looks just like she did 20 years ago. John Wohlfeil - Good to meet you in New Orleans – wasn’t that city amazing? I’ll be in touch. Amy - Nice shots and great team! Congrats to you both!!! Beth - Thanks for the awesome introduction :) . I am so excited to be working with you! You have amazing skills as a photographer and with me working on some of the other things, you’ll be able to concentrate on the things you’re best at! Like you always say, “Two Pattersons are better than one!” (Of course usually we’re just trying to open the ketchup bottle). Anonymous - It looks like you guys will make a great team! Alisa Greig - wow, these colors ARE amazing! we don’t really have seasons where i come from, so to see it like this is beautiful! Abby - I absolutely love the picture with the tire swing!